While making health-conscious choices may take up a lot of our focus, it’s important to make sure that environmental hazards don’t slip off our radars. 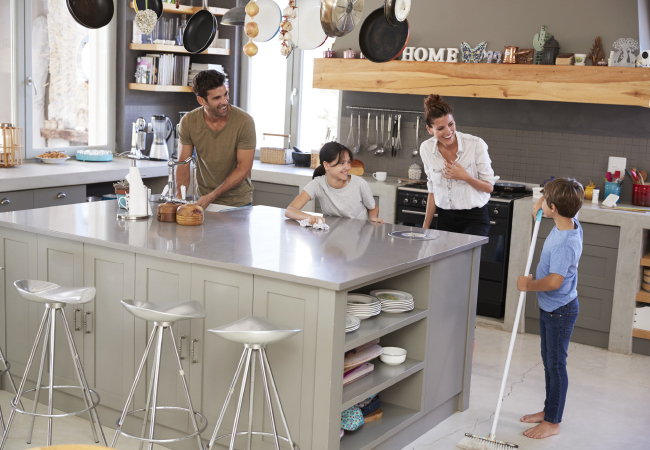 There may be a few lurking problems in your home that may have no immediate effects on your family’s well-being, but are important to address before long-term consequences come into play. 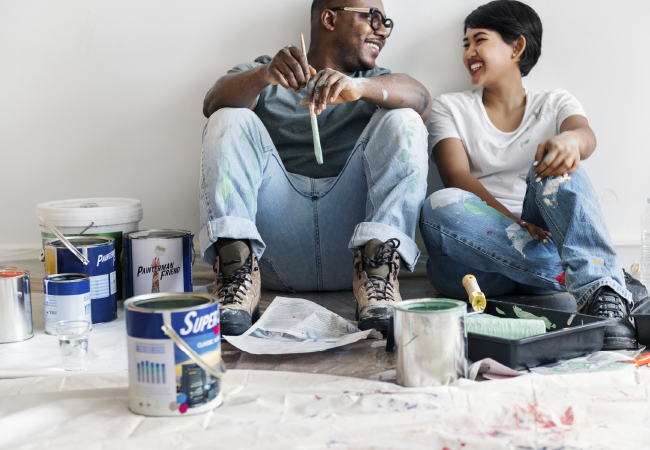 With a little diligence and some preventative maintenance on your home, you can rest easy knowing that you’re doing all you can to keep your family feeling great for years to come! If you’re wondering what the heck radon is, you are not alone. Considering that more than 55% percent of Fayette County homes contain elevated levels of radon–above what the EPA considers safe–it’s time we all got more familiar with this common health hazard. Radon is a naturally-occurring radioactive element. Scientific studies suggest that radon is responsible for 15,000 lung cancer deaths per year, second only to smoking. We are exposed to radon everywhere we go. If you are living and working in radon-affected buildings, it’s akin to having 400 chest x-rays per year. The good news? Radon can be detected with an inexpensive kit. If it is indicated for your home, there are repairs that can be made to reduce your exposure significantly. If you’re building a new home for your family, ask your builder how you can achieve a radon-resistant house. Having a problem with allergies in your home, even once allergy season is over? Do your allergies seem to get better when you’re away from home? You could have a mold problem. An obvious sign that you have mold is seeing it: look for green, black, orange, red or white spots. In many homes, it may take a little searching to find mold. Anywhere there is moisture, mold can appear, so regularly inspect damp or humid spots in your home, including places where leaks have occurred. A second sign of mold is a musty smell. If you smell mold but don’t see any, an inspector can search for mold in hard to see spots, like inside drywall or under your floorboards. If a major mold issue is discovered in your home, the repairs may be costly, but will pay off in better respiratory health for your family. Was your home built before 1980? It’s possible that asbestos is lurking in building materials used in your flooring, ceiling, roof, ductwork or sheetrock. Asbestos is a mineral fiber that was once marketed as a “magic mineral”. The heat-resistant product could be pulled into a soft, fluffy consistency, and was used as an insulator that could make other materials stronger and–it was thought–safer. However, much like lead, that turned out not to be the case in the long run. When asbestos fibers become airborne, the odorless, tasteless, nearly invisible fibers can easily be inhaled. Once in the body, they never dissolve and are very difficult to expel. Over years of time, the trapped fibers cause inflammation and damage to tissues that can lead to cancer or mesothelioma. Asbestos is difficult to positively identify without a microscope. An asbestos inspection professional can take a look around your home and make educated guesses about whether the materials may contain this fiber, but samples will have to be collected for testing to be certain. What should be done if you suspect asbestos was used in the building of your home? Do not cut, sand or saw the material. If ceiling tiles, flooring or pipe insulation is crumbling, limit exposure to those areas of your home until a certified asbestos abatement professional can take a look and decide how to proceed. Carbon Monoxide (CO) is a fairly well-known home danger, and one that many people take for granted. It’s easy to think of this gas as limited to charcoal grills and old, broken gas heaters. But that’s not the whole story. Many home appliances produce CO. Because CO has no color, odor or taste, you should get a detector for your home. If CO is detected, have an inspector locate the source and repair the leak. And if you have a gas stove, grill or oven, be sure to listen for leaks and inspect your unit regularly. One of the most common sources of carbon monoxide is your automobile. If you let your vehicle warm up on cold mornings, open the garage door or pull it into the driveway so that the exhaust can safely disperse. If you’re testing any kind of lawn equipment, be sure to take it out of the garage before you fire it up. BPA, BPS and BPF are chemicals used in some plastics to help them stay firm. BPA is a well-known Endocrine Disrupting Chemical, meaning it interferes with the body’s hormones, most notably estrogen. BPA became a health-scare buzzword when it became common knowledge that plastic water bottles sometimes leached this chemical into the water. However, it’s important to know that BPS and BPF have similar effects on the body’s hormones, and are often substituted for BPA in “BPA-free” products. Choose food storage containers that are BPA, BPS and BPF free. If you’re not sure if a container is free of these chemicals, do not microwave it: heat often causes the plastics to break down and leach chemicals into the food. Better yet, switch to glass food containers or water bottles. BPA, BPS and BPF can also be found in some diapers. 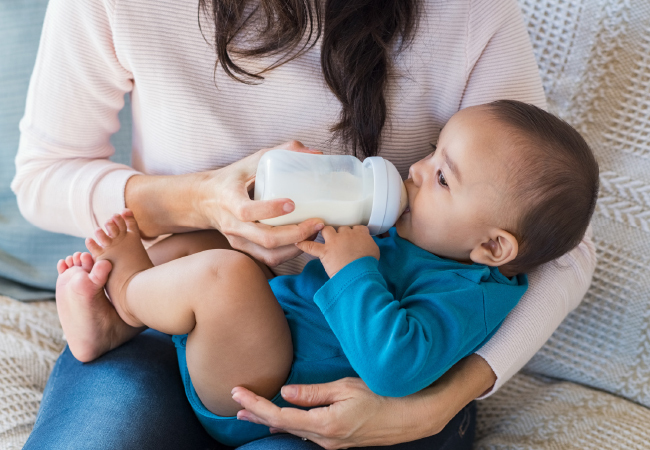 While the FDA banned BPA from sippy cups and bottles, there still may be BPS and BPF. And that doesn’t account for teething rings, toys, bowls, utensils or other plastics your child may use. Do your research and find safer alternatives for your children that don’t contain these EDCs. “Volatile organic compounds” are vapors found in many household products, like cleansers, disinfectants, paint and aerosol sprays. If you’ve ever been using a cleaning product and felt your eyes begin to burn or water, you’ve encountered a VOC. Irritation to the eyes and throat, headaches or other allergic reactions are the most common symptoms, but exposure can cause much worse physical discomfort, like dizziness, nausea or even loss of consciousness. When possible, use products that are labeled low-VOC. When you have to use a product that contains irritating VOCs, try to do so outdoors or with lots of ventilation to disperse the vapor. 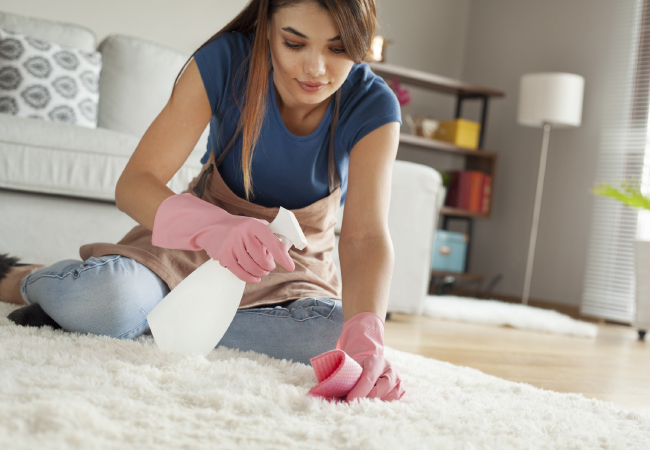 Bear in mind that VOCs are present in fragrances, including air fresheners or scented cleaning products, so one way to nix many VOCs is to simply choose unscented options.